2015 Musical Tribute – About | FEED, Inc.
FEED Partners with Manila Symphony Orchestra (MSO) and Southeastern College for a “Musical Tribute to Education & the Environment”, on November 25, 2015 @ the Ayala Museum (Makati Avenue cor. De La Rosa St), from 6-9PM. Other Friends, Patrons & Partners of FEED will be featured alongside Fides Cuyugan-Asensio, one of the most outstanding sopranos and musical personalities of the Philippines, also offered her magical voice to sing: “Nature’s Boy” and “Summertime”. At various times she was actress, librettist, lyricist, pedagogue, producer and director. 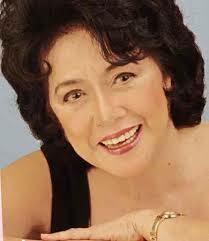 She is currently Professor Emeritus at the University of the Philippines Voice and Music Theater/Dance Department. Fides received the National People’s Choice Award for “Grand Achievement Award in Theater Arts”, and was conferred the Lifetime Achievement Award for her outstanding achievements in music by the Philippine Government. This Musical Tribute also highlights the role of education and youth leadership, and will feature Southeastern College (SEC), Philippines Children’s Choir who have composed their own personalized renditions of “We are the World” and “Paraiso“. Full proceeds of this 2015 Musical Tribute to Education & the Environment will be allocated directly to the continued strengthening of FEED’s sustainability mission, including tree-planting programs, education, research and livelihood projects in the fields of agriculture, environmental sciences and forestry. Sponsorship Packages: Please email info@feed.org.ph or call +63 (0)917 552 4722. Call +63 (02) 891-9999 for inquiries and reservations. One of FEED’s Partners in Tree-Planting: University of the Philippines Genetics Society (GeneSoc) Youth Step up Drive for Reforestation in Laguna-Quezon Provinces (September 27, 2014). A total of 1.4 million hectares of plantation forest was established with the 1991 Forestry Master Plan, which aims to have additional plantations of about 3 million hectares by 2015.The concert is dedicated to the many tireless efforts of other green actors around the world, known and unknown, who continue to work hard to raise awareness, conserve, preserve and protect the very sustainance of life on our planet – for the benefit of all living creatures and a better future. 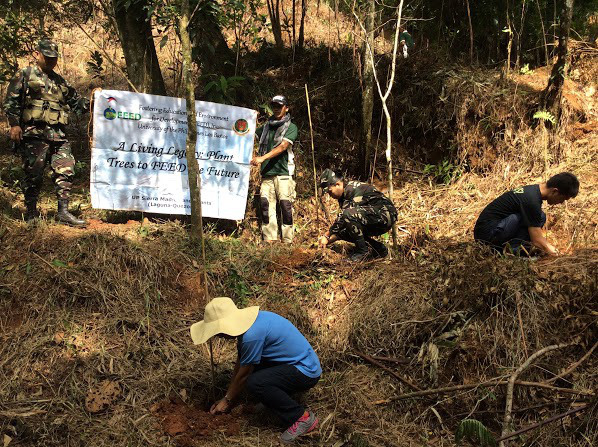 University of the Philippines Los Baños (UPLB) Microbiological Society (MicroSoc) Greening the Sierra Madre mountains with the Philippine Army & FEED (Siniloan, Quezon Province, 29 September 2015). Dedicated to raising funds for the protection of the Philippine environment, through tree planting programs and research into agriculture, environmental sciences and forestry, FEED carries out its mission in partnership with the public and private sector, individual donors, volunteers and friends who care for the restoration of our forests and the protection of Philippine biodiversity, community development and the promotion of sustainable agricultural and food systems. Florist: CMD Flowers & Evergreen Co.